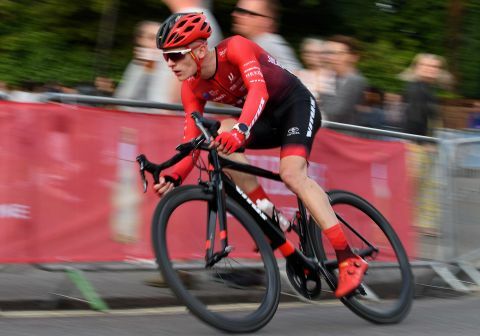 In 2018, the Vitus Pro Cycling team gave many a young rider an opportunity to see what it was like to race at the highest level in Britain and one of those riders, Liam Davies, says it was a learning curve and the opportunity he was given by team owner, Cherie Pridham was taken with both hands. “I feel I earned it” he says of being re-signed by the team. “I know I still have to step up and I don’t want to be going to races and hanging on for dear life like I was last season (2018). If I’m going to finish 17th in a race, I want it to be because I’ve led some one out and not been hanging on for dear life like last year”. If 2018 was a learning year, one to fight to keep his place in the team, in 2019 the goal is to get results and be consistent. Stepping up from junior to senior racing and racing double the distance was part of the learning curve. “Last winter, I was at college and working but now I am full time and training more so it might all come together on the road for me. I may still struggle, but in the crits, I would like to be one of the main guys”. Liam is currently in Spain with family, enjoying the opportunity to wind up his team boss with pictures of him and his bike on the beach LoL. In Spain, Liam is looking to get a good block of training in his legs. When we spoke at the team launch in November, he says his season started the moment he walked in and met up with his teammates. Asked what he feels his strengths are, he says his skills like having the ability to dive bomb Ed Clancy without Ed telling him off. “It shows I can ride and I have the confidence I can ride my bike. I am not scared to lean on people. The last hour of a road race and crit racing is my strength. I’m not sure what my speciality is but next year it will be the crits”. 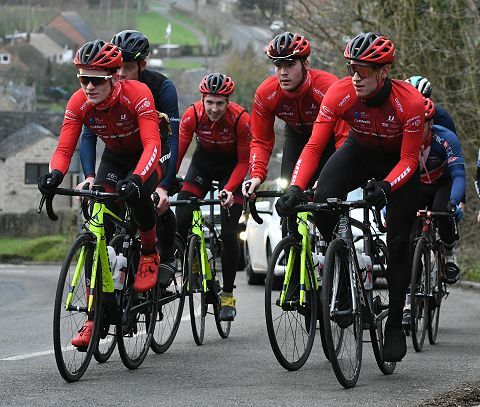 Liam is also pleased with the team’s new bike having been given the opportunity to ride it in training alongside his 2018 team bike and when we spoke at the end of December, he’d done 5,000 miles on the Vitus ZX-1 Aero. Asked for his impressions on the new bike, he was mightily impressed. “Using both bikes continuously and swapping between them has been a good way of seeing the differences” Liam explained. “It makes you feel more secure with later braking and with the through axels, it’s a lot stiffer and more stable and there is better power transfer as well with that stiffness. It is definitely racier and takes bumps better. I have taken it over a few sectors of the CiCLE Classic sectors over my way and it just seems to absorb the bumps a lot more rather than my 2018 bike”. Finally, when asked how his training was going, he admits to having seriously stepped up the mileage on the bike since the team launch in November. He is also a fan of Zwift and asked about it, he says “I was using it before it was super popular when the first virtual world, Zwift Island had only one or two buildings and was six kilometres round. Now, in that world, you can go up Alpe du Zwift, a replica of Alp d’Huez and it takes an hour to get up it”. 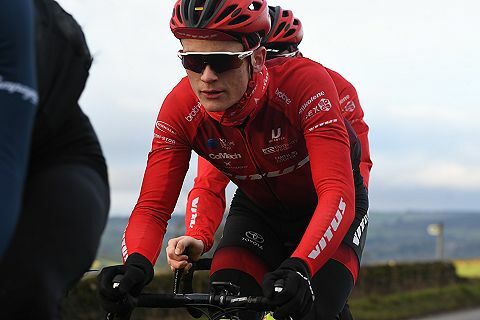 No such decisions between road or turbo for Liam now though in Spain and we look forward to seeing how he steps up in 2019 when the team start racing in March. Good luck to Liam and thank you for the chat ….